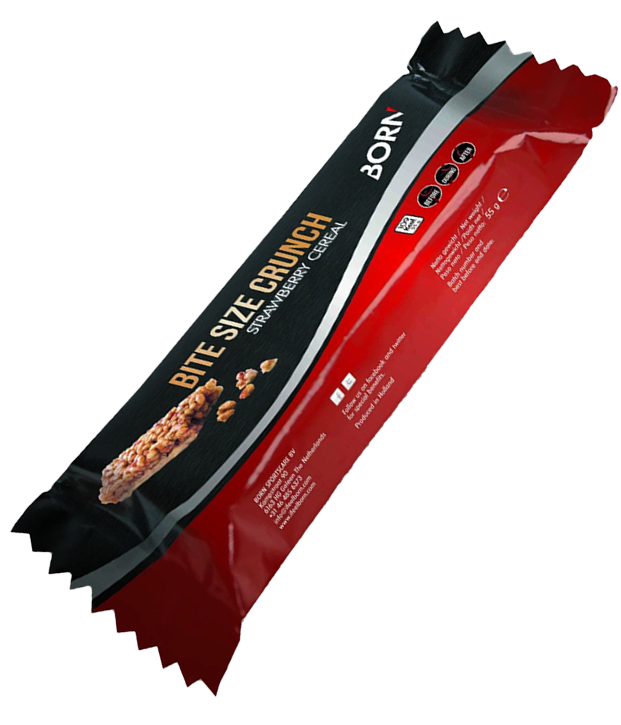 A BITESIZE CRUNCH provides the needed carbohydrates. 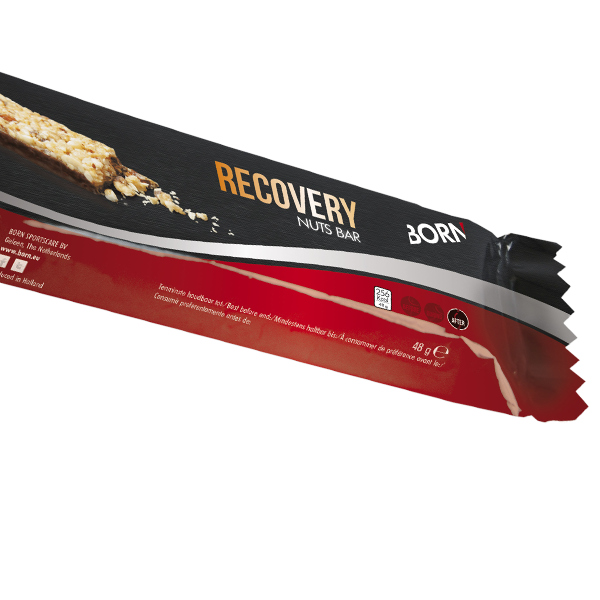 Tasty 25 gram bar with crunchy crisps and pieces of strawberry on a delicious yoghurt base. A BITESIZE CRUNCH gives you enough energy, is compact and tasty. Treat yourself! Rice crisps 31,5% (rice flour, wheatflour, sugar, wheatmalt, salt, flavours), glucose syrup, yoghurt coating 16% (sugar, cocoa butter, skimmed yoghurt powder (contains milk), lactose, emulsifier, (soylecithin), flavours,acidulant (citric acid)), brown soft sugar (sugar, sugar syrup, colouring agent (caramel E150c)), humectants (glycerol), palm fat, sunflower oil, cream powder (contains milk), strawberry 1,6%, flavours, emulsifier (soylecithin). Product contains milk, lactose, soy, gluten. 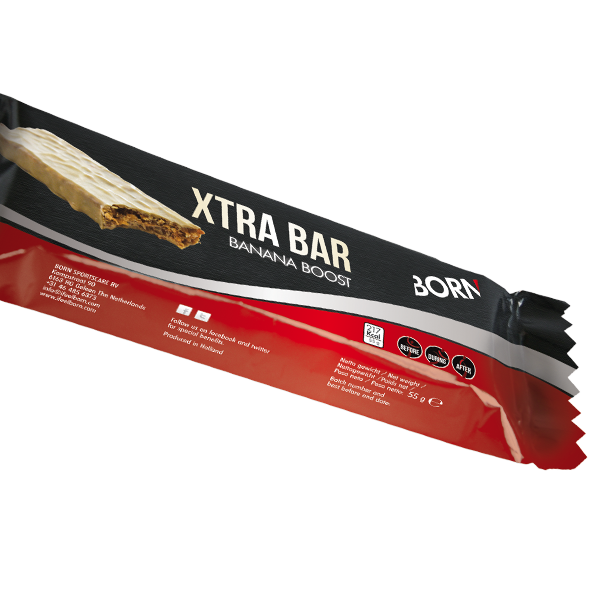 Product may contain traces of egg, peanuts, nuts and sesame.